Day one: Pickup from Chandigarh railway station / bus stand / airport by Tata Indica car. 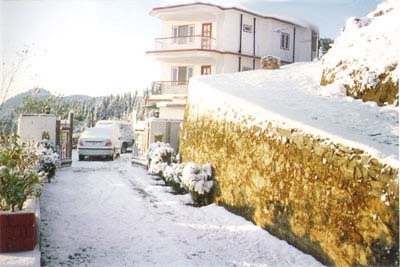 Travel to Manali which is 250 kilometers away and takes seven to nine hours to travel. Check in at Hotel. Day two: Visit to The famous Rohtang Pass where you can see and enjoy the snow all time during the year. This is 51 kilometers from Manali at an height of 4111m above sea level. This is the highest point in Manali. This pass is closed in winter season due to heavy snowfall. See Beas Kund, the river Beas originates from here. Day three: Local Manali trip by Indica Car. Visit the Hadimba temple, museum, Manu Rishi temple, Vashisth hot springs, Club House, Buddhist monasteries, evening free to roam on the mall road and do shopping, the famous being the Kullu Shawls.